Finding different places to eat in Manchester is one of my favourite things to do. In fact, I have a long list of cafe's and restaurants that I would love to go to. This was my first time eating at Opus One in the Raddison Blu Edwardian Hotel - but it won't be my last. I enjoyed all the three courses so here's a review and some photos I took on the night of my visit. First of all, I would like to say thanks to Opus One for treating me so kindly and cooking up a gorgeous meal. Myself and my friend Matthew had a really great night out. 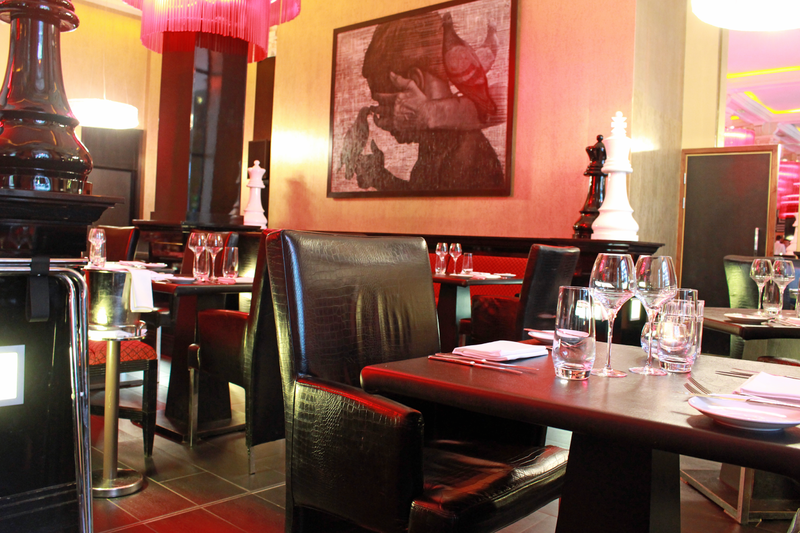 The staff were lovely and I felt comfortable in the luxurious black and red dining room. 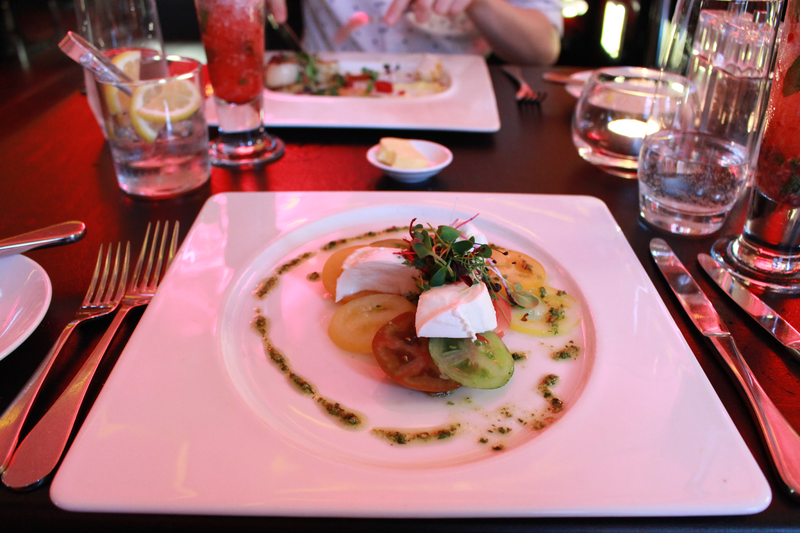 For the starter I chose the Heirloom Tomatoes, Pesto and Pulled Buffalo Mozzarella. I absolutely loved this, all of the flavours mixed perfectly and was very appetizing. The starter was light enough to keep my going for the main: Pot-roasted free range chicken, woodland mushroom risotto, sweet pea puree which didn't take too long or too quick to arrive. This concoction of food is something I've never had before. 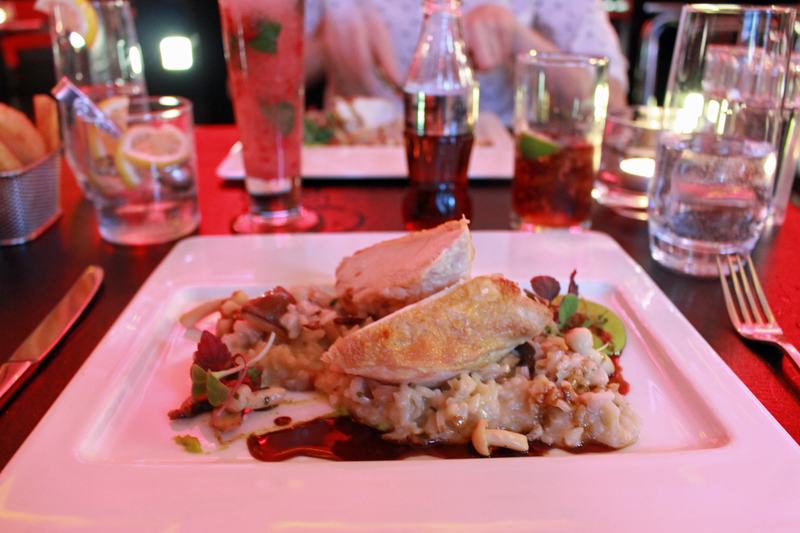 But there was the right amount of chicken and the mushroom risotto was flavoursome! I finished feeling full but ready for the desert! 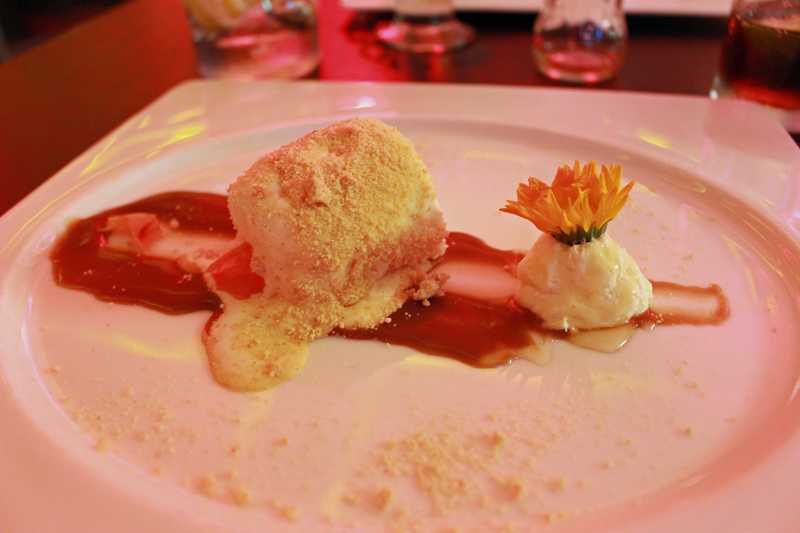 I asked the waiter what he would recommend, , I was spoilt for choice and wanted something light, he hands on heart confidently suggested the mouth-watering Honeycomb crumb parfait with caramel sauce and said he loved it! He wasn't wrong because I absolutely loved it too. The presentation of the food was pretty and the flower was even edible! It was delish! 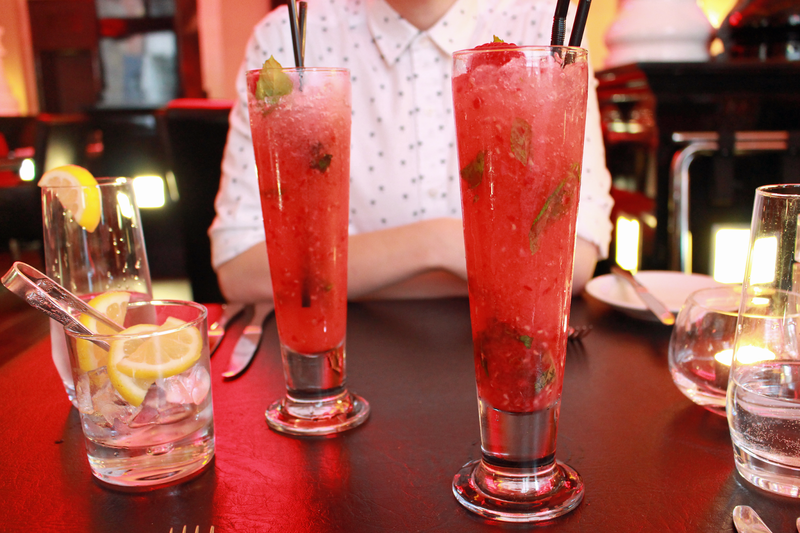 We ordered a non-alcoholic cocktail from the bar called the 'Pacific Sling' which consisted of Lychee Juice, Mint Leaves, Raspberries, Lemon Juice and Soda. It was that delectable that we ordered a second. Overall, I really enjoyed the food and the service was just as good. You could say that the menu is fairly expensive for students like me. However, you are getting the quality and taste of what you paid for, so its definitely worth that few extra pounds.